Did you know that the sun supplies 15,000 times the daily energy used on earth? Many people do not know that the sun is the biggest, most productive source of energy that is available to mankind. Over the distance of 150 million kilometers, the sun supplies us with an enormous amount of never ending, long-term energy. Fact: the sun supplies 15,000 times the daily energy that is used by the global population. Fact: in less than 30 minutes, the sun sends more energy to earth than is consumed during the course of an entire year. Fact: In the year 2004, sun energy consumption was about 118’858’600’000’000 kWh (kilowatt-hour). Fact: if a gigantic solar energy plant were built in the Sahara desert (700 km x 700 km), it could completely meet global energy demands, not just electricity demands. Fact: solar energy from the sun will be available for at least another 5 billion years. Fact: solar power provided by the sun is eco-friendly, clean, safe and abundant. Solar energy systems may be used in one of two ways: direct and indirect. When solar energy is used directly, people need a technical device such as solar cells (responsible for the production of electricity), solar collectors (responsible for gaining thermal energy), solar dryers, solar cookers or solar ovens (visit www.solarcooking.org for more information). For example, most large-scale solar installations produce steam to activate turbines or generators for the production of solar electricity. Indirect solar energy is mostly used for the construction of thermo regulated houses. An example of indirect solar energy installation is the implementation of large, south facing windows. Other sources of indirect sun energy include biomass, hydropower and wind power. The opportunities to use solar energy are getting better and solar energy costs are now cheaper. This is due to the fact that countries are starting to recognize the long-term effectiveness of renewable energy and have launched ambitious alternative energy support programs, including rebates and tax incentives. In Germany, the use of solar energy is growing rapidly due to the passage of recent legislation. Recently, the country passed a law on renewable energy (the Renewable Energy Sources Act), which calls for the economic production of solar power from renewable sources. The Renewable Energy Act obliges network operators to obtain electricity from photovoltaic plants and to pay a fixed rate for solar energy. After a standstill of several years, Switzerland is now planning to introduce nationwide Net Metering, which is based off of the German model. At this time, people throughout the world are facing climate problems and must address the limited availability of fossil energy sources, like oil. Solar energy is the way of the future and will continue to supplement decreased fossil energy supplies for years to come. 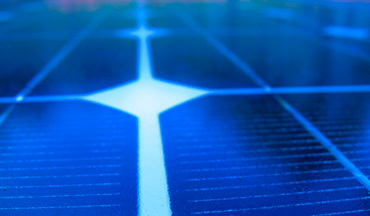 Learn more about the advantages of Avatar’s commercial solar energy solutions.